The reputation of Archanes village has reached all across Europe, all this for a good reason. When entering the traditional village of Archanes you admire the imposing neoclassical building which hosts the Environmental Education Center and the all-white church of St. Mary (Panagia Church). 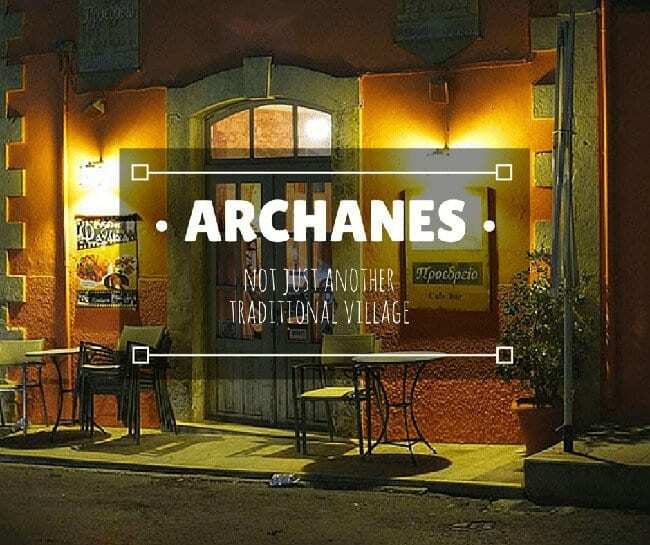 Archanes is full of atmospheric neighbourhoods with well-preserved houses, painted in cheerful and bright colours. On every step, the visitor learns more and more about Archanes. 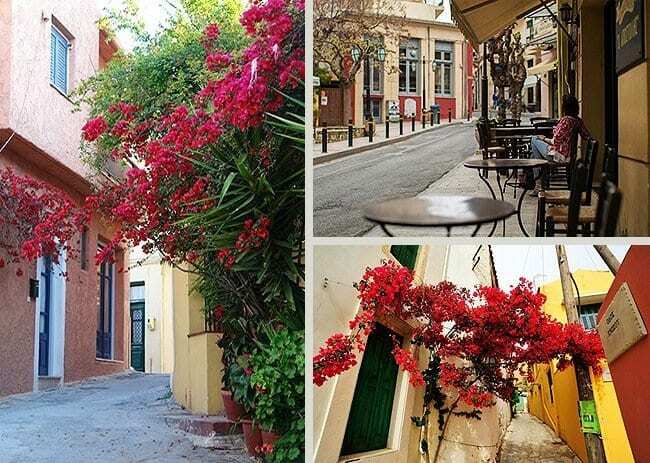 This is because the locals have managed to build the must-visit attractions around the village: the Folklore Museum, the Archaeological Museum, the sculpture workshop, the Cretan History Museum are all just a stroll away. In “Tourkogitonia” (Ano Arhanes), in a restored factory called “Eleni” you will find out how the traditional olive oil is produced. The large and flowery house yards are, themselves, a reason to visit the village. This makes you think that you walk through a small oasis. The whole village has an difference ambience and aura. Probably thanks to the vast vineyards and the refreshing springs that surround the village. 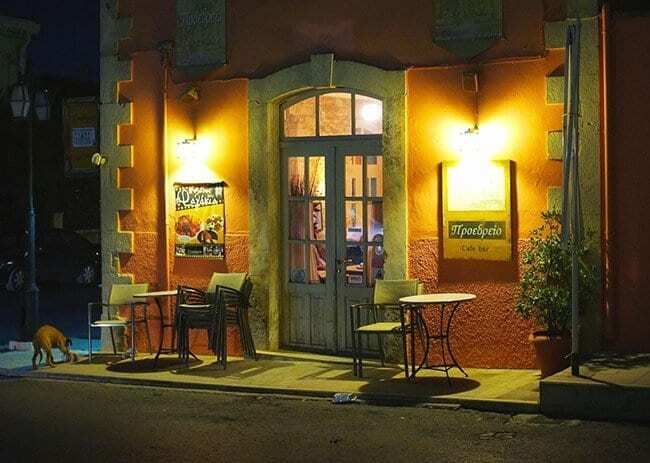 The locals are welcoming and warm-hearted and always insist to treat the guests “Kapriko”, a pork in the oven, which is a local specialty among others in Crete. Then, a toast with raki for joys to come. Built in 1893, this block of traditional bungalows where restored with taste that preserves the culture and ambience of the vicinity-village. The rooms are decorated in a vintage style with antique furniture with embroideries and handcrafts. The scenery in the courtyard is captivating. There you can enjoy a cup of greek coffee, raki or rakomelo, herbs tea and local delicacies. 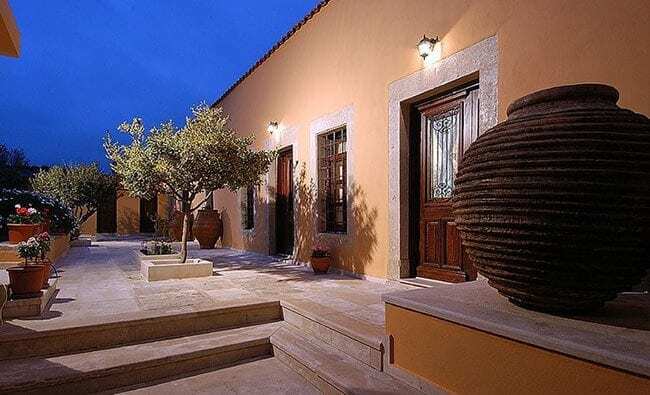 Located in the center of the village, “Kalimera Archanes” is block of 3 independent buildings (Drosostalida, Aura, Zephyros). All of them where recently restored and renovated to match the architectural style of the village. Optionally, the cook can come to your room to prepare a traditional lunch or dinner. Breakfast is served in the garden. These 3 traditional houses where built in 1871 in “Tourkogitonia” (Turkish Neighbourhood). They were completely rebuild and renovated and now consist 10 beautiful one or two bedroom apartments, maisonettes & two-story lofts. Most of them feature a fireplace, wooden floors and antique furniture, plus a small kitchen to cook your own meals. The houses are surrounded by high stone courtyards, full of trees, wood ovens, barbecues and a large wooden deck. The panoramic views of the nearby mountain Youchtas is a must see. Chef Dimitris Mavrakis and his wife, Mary, cook for one of the best restaurants in the area. At the captivating yard you can eat “chortopitakia” (spinach pies), various greens from the local market, veal with mushrooms, smoked cheese and mashed potatoes.